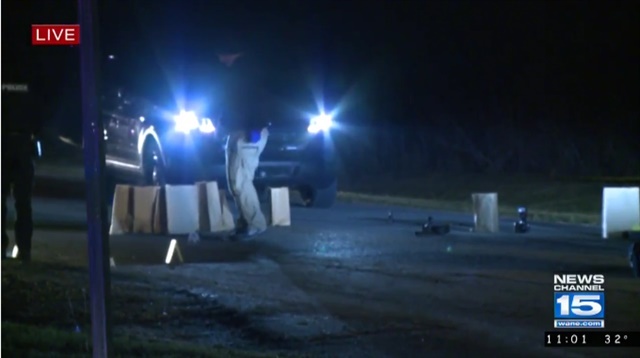 A DeKalb County (IN) Sheriff’s deputy was shot by a suspect during a traffic stop Tuesday evening in Garrett, according to Indiana State Police. ISP Spokesman Sgt. Ted Bohner said a Garrett police officer initiated a traffic stop on a vehicle at around 8:20 p.m. A DeKalb County Sheriff’s deputy was also involved in the stop. At some point during the stop, Bohner said both the deputy and suspect fired shots. Bohner did not have immediate information on whether the Garrett officer also fired shots. The Garrett officer was not injured, WANE reports. Bohner said the DeKalb deputy has injures that are considered non-life threatening. The condition of the suspect is unknown.